With youCAN CANopen prototypes can be build and used for the software devoplement by providing the fitting tools for the CANopen devices. CANopen functions of the prototpyes can be implemented, added and removed in a straight-forward way by the development environment. In many cases engineers have to develop and to test CANopen devices and systems without having the hardware available yet. Frequently the developer only knows the requirements for the overall system but the requirements for every single component or the type of the component (Master/Slave and their functions in the system) are not clearly defined. In many cases the number of CANopen devices or the allocation of functions to the devices are not specified at the beginning of the development. The user has the possibility to build a simulation environment consisting of real and simulated CAN nodes. In other words, an existing CAN network is to be equipped with the required CAN nodes (residual bus simulation). Therefore the user can analyze the behaviour of the whole network Residual bus simulation by means of youCAN is possible. The use of prototyping systems in the software development allows an early detection and avoidance of errors in the system. This leads to shorter development times by avoidance of errors in the concept and thus offers an essential advantage. 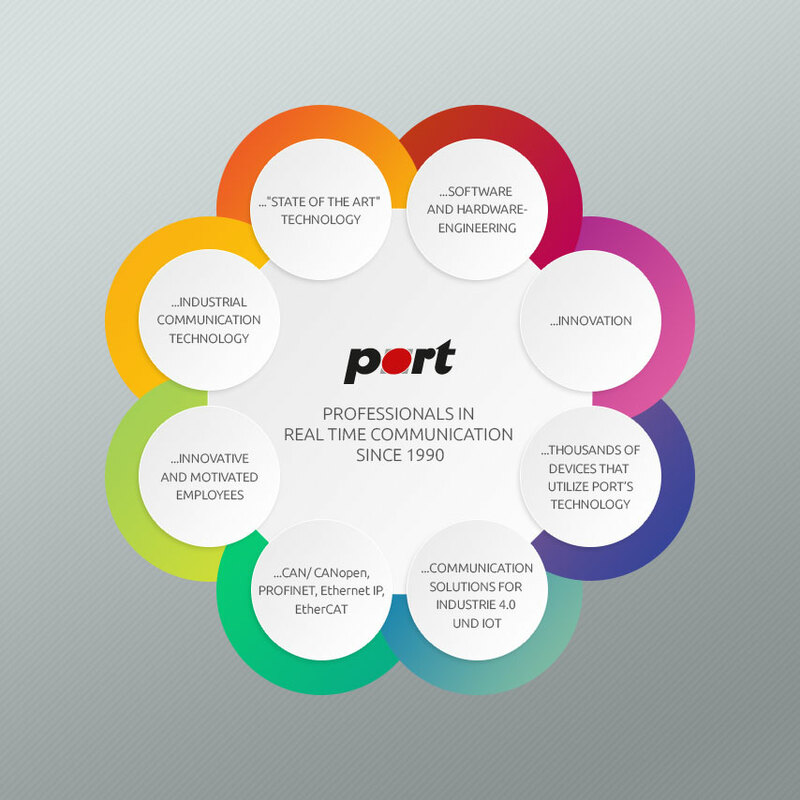 The youCAN development environment of port meets these demands. youCAN -- it’s easy, you CAN do! youCAN isn’t a single software product. It is an intelligent composition out of powerful software and tools. It comes along with manuals of all single components, some extended examples and a separate manual which introduces the philosophy behind. With youCAN prototypes can be used for the software devoplement by providing the fitting tools for the CANopen devices. CANopen functions of the prototpyes can be implemented, added and removed in a straight-forward way by the development environment. The development of CANopen nodes and also their simulation can be carried out on one or distributed PCs or evaluation boards. The results of the prototypes can later be used on the real embedded targets, as the CANopen Library provides the same API on all different targets. For a CANopen device the CANopen object directory and the CAN connection (CAN driver) are the central elements. The CANopen design tool generates the object directory by means of databases. The object directory contains the CANopen communications profile (DS301, DS302) and device profiles (DS401, DS402 ...). The result is C code, an EDS file and a detailed documentation of the objects used. With the help of youCAN the migration from one target to another one can be realized very fast. A more powerful target might be necessary if the prototyping reveals that a target lacks resource. The other way around it can also be a migration from a powerful target to a cheaper one if there are many reserves. The configuration tool CANopen Device Monitor is always included in the scope of delivery. It can be used to configure the CANopen projects and devices by access to their object dictionaries. The CAN analyzer CAN-REport belongs to the standard scope of delivery. Using youCAN CANopen systems and also single CANopen nodes can be developed based on prototpyes. youCAN is also suitable to create virtual test environments with having the real hardware available. Single devices can be started on a PC using the abstraction layer as a prototype while the remaining network consists of real nodes. youCAN comes with all tools that are required for a fast development process. Depending on the version the tools can be delivered with different extensions. Furthermore the customization of the scope of delivery for youCAN is possible. Delivery of the youCAN Prototyping environment comprises different example programs that describe the usage of the various CANopen services. All examples contain a complete implementation of a CANopen device including the object directory as well as application code. These are ready to be compiled and to run. Among the detailed reference manual there is a printed user manual, numbering 225 pages, as documentation of the CANopen Library of port available. Currently PCs and Embedded-PCs running on Windows XP and Vista are supported.